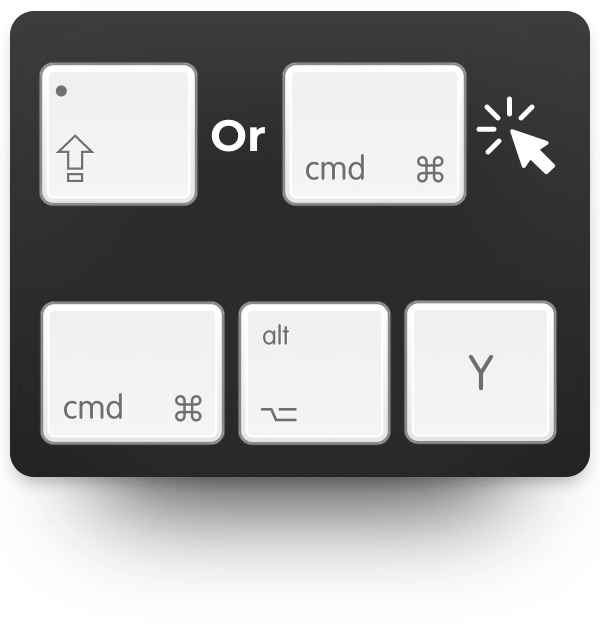 Using keyboard shortcuts instead of reaching for your mouse or trackpad and hunting through menus is a great way to save time and get work done efficiently. 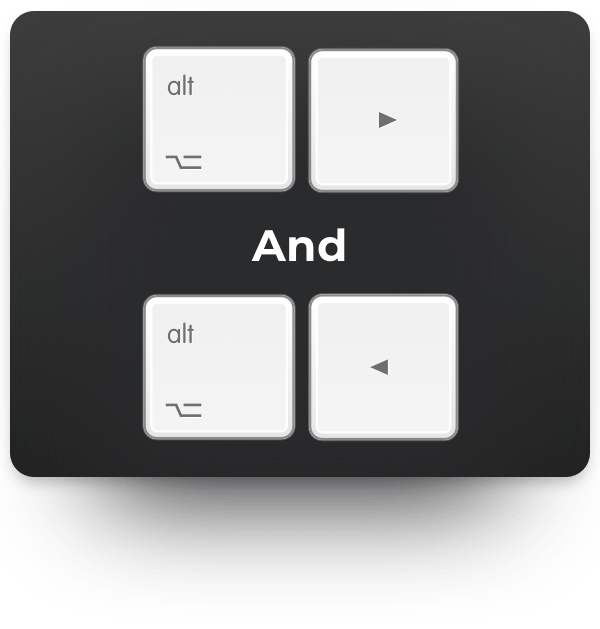 Even though for complex task you could use a keyboard assistant like Lacona (which will semantically understand any operation you need to perform) for complex tasks, knowing essential shortcuts will speed up every repetitive action related to the basic Mac functionality. Learning shortcuts takes time and practice; it’s only by using them repeatedly that you develop a habit. But then you start really saving time and boosting productivity to the point where you won’t know how you’ve lived without them. To help you, we’ve collected the best keyboard shortcuts for the Mac — those that will save you the most time every day. Remember: learn them and practice them. When you’re in Finder, there are a number of shortcuts you can use to go directly to a folder. Add a selected item to a Finder window sidebar. Select the item you’d like to add and press Cmd-Option-S.
First Shift- or Cmd-click the files you want to preview and then press Cmd-Option-Y to see the slideshow. 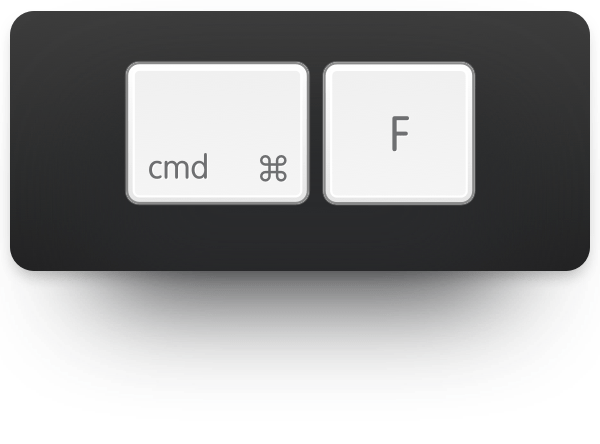 Use Cmd-F to search for something. In most applications, including word processors and web browsers, it’s used to search for bits of text on the page you’re on. Cmd-F in Finder opens a new Finder search window, with the cursor already in the search box. Press Cmd-Space from anywhere to pull up the Spotlight search bar. 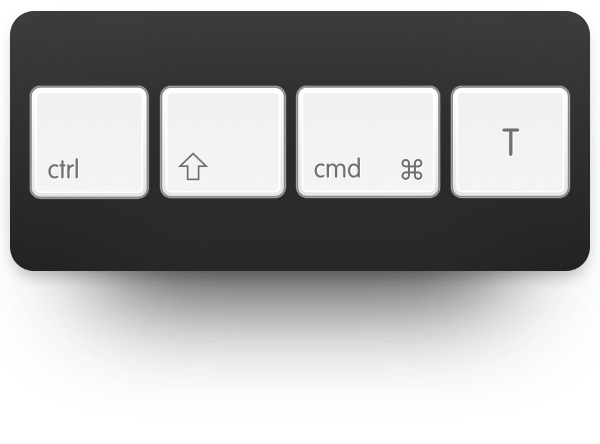 Your Mac has a number of features, such as the ability to invert colors on the screen, to help those who have additional needs when it comes to using a computer. To access them quickly, press Cmd-Option-F5. Press Cmd-Tab and keep holding Cmd to pull up the macOS application switcher. Press Tab again to highlight the next app and let go when you reach the app you want to switch to. 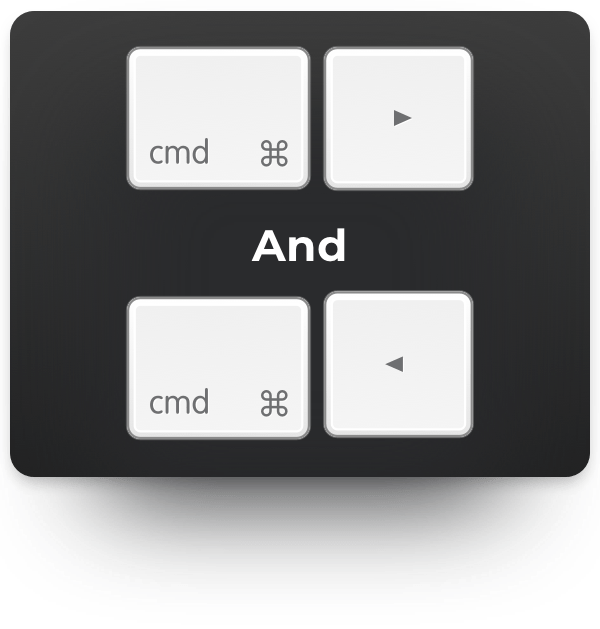 Pressing Cmd-Tab and letting go of both immediately switches to the next app without further interaction. Press Cmd-comma to open any application’s Preferences window. Get Info is available for every file and folder on your Mac and provides information such as the size of the file and the application that will be used by default. To open this window, click on the file or folder and press Cmd-I. 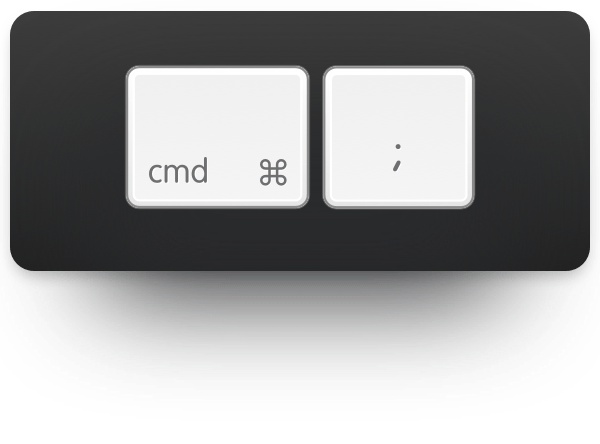 Press Cmd-Alt-D to show or hide the Dock in any application. Note: this doesn’t work when applications are in full-screen mode. Select the item then press Ctrl-Shift-Cmd-T.
AirDrop is a great tool for transferring files quickly between Macs or between a Mac and an iOS device. To get to it right away, press Cmd-Shift-R in the Finder. This one is a huge timesaver and can get you out of trouble, depending on the app you use it in. 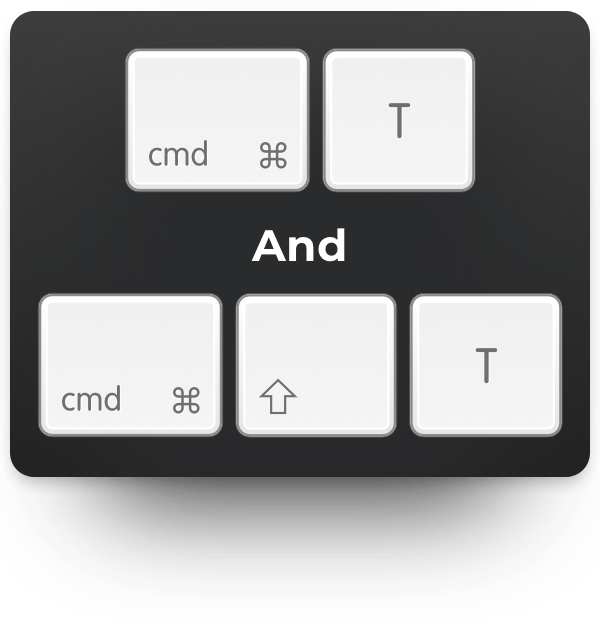 Press Cmd-Z to undo your most recent action. In apps that allow multiple undos, press it again to move back another step and so on. 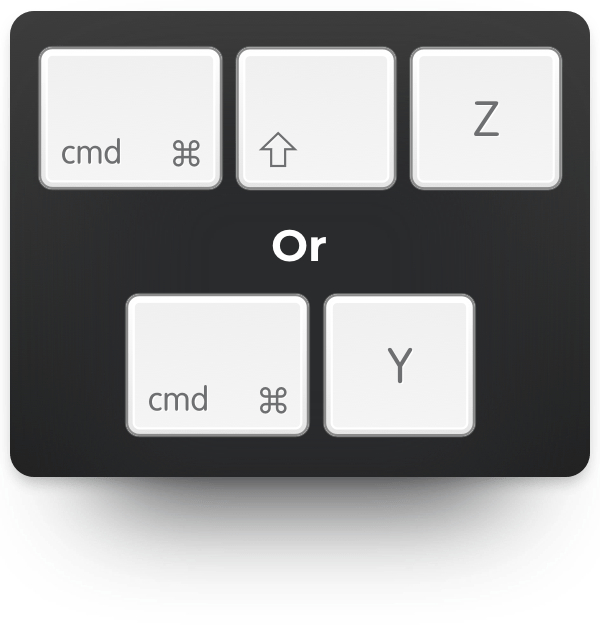 To redo something you’ve undone, it’s either Cmd-Shift-Z or Cmd-Y, depending on the app. Press Alt-Right Arrow to jump a word or Cmd-Right Arrow to jump to the end of a line. 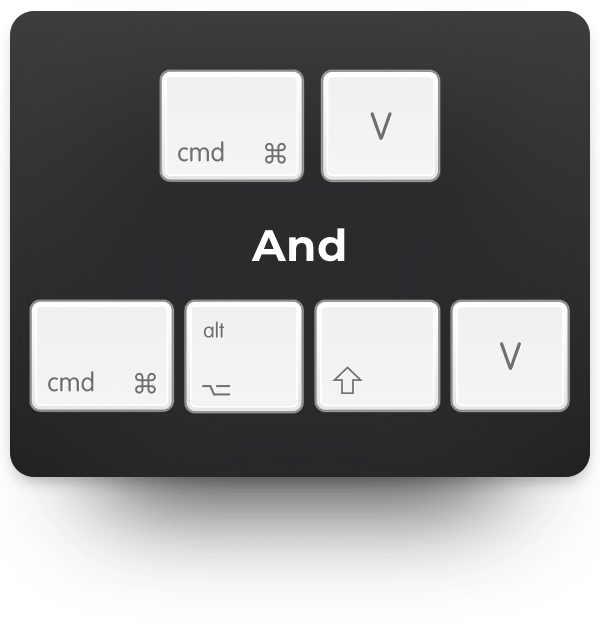 Alt-Left Arrow and Cmd-Left Arrow jump backwards a word and a line, respectively. To select text as you jump, hold down the Shift key. Press Cmd-semicolon to have misspelled words highlighted. To select everything in a document or folder, press Cmd-A. While Cmd-V will paste whatever is in the clipboard, it does so in the style of the document you copied from. To paste text in the style of the document you’re pasting into, press Cmd-Option-Shift-V.
Press Cmd-Shift-3 to screenshot the whole screen. 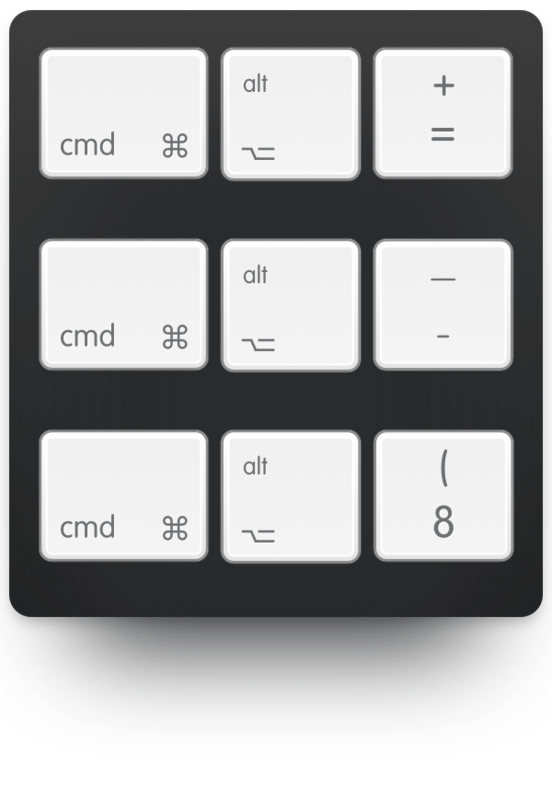 To grab a selection, press Cmd-Shift-4 and drag over the part of the screen you want to grab. To take a shot of a single window, press Cmd-Shift-4 then press Space and place the camera icon over the window you want to grab and click on it. You can also copy and paste a screenshot in one move. 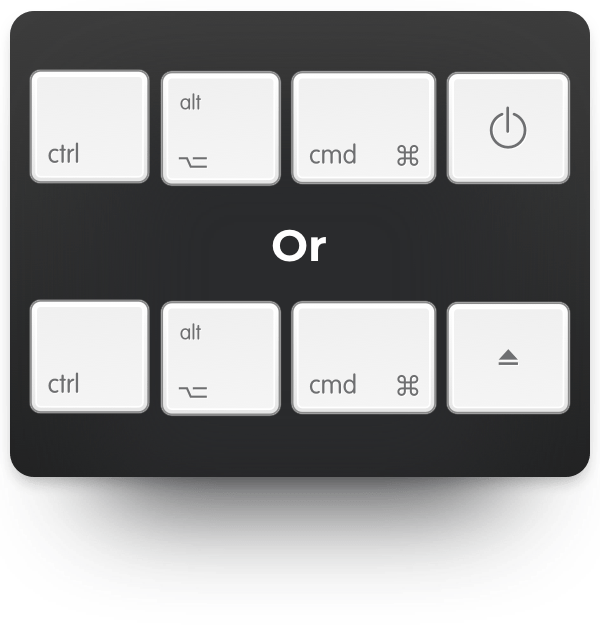 If you add the Ctrl key to the shortcuts above, it will paste the screenshot to the clipboard rather than saving it. For example, Ctrl-Cmd-Shift-3 will take a screenshot of the whole screen and paste it to the clipboard. To paste it into your document, just press Cmd-V.
Press Cmd-T to open a new tab. 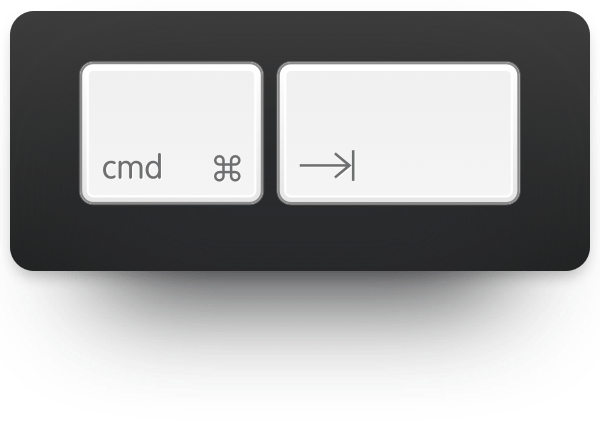 If you close a tab by accident, Cmd-Shift-T will re-open it. In Safari, Firefox, or Chrome, you can make the contents of a web page larger or smaller using Cmd and either the + or - keys, depending on whether you want to zoom in or out. This also works in some other apps. 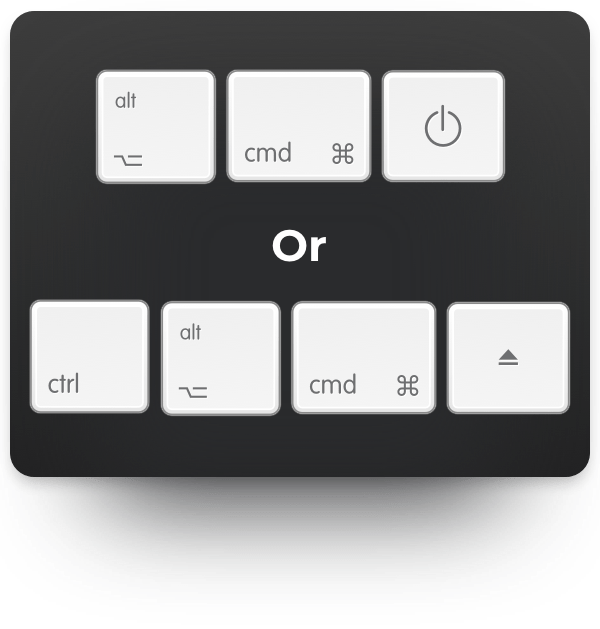 To make the universal zoom work, you’ll need to go to System Preferences, then click the Accessibility pane and choose the Zoom option, checking all the boxes. After that, you can press Cmd-Option-Plus to zoom in anywhere. Cmd-Option-Minus will zoom out in stages. To return to 100%, press Cmd-Option-8. Press Option-F2 to show the Display Preferences window. 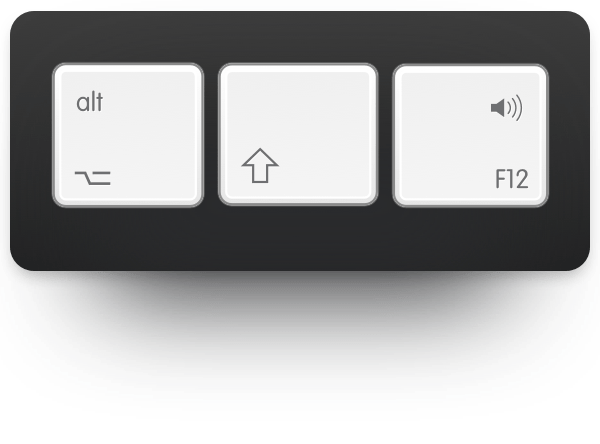 Press Option-F12 to show Sound Preferences. Press Option-Shift-Volume Key to move the volume of your Mac’s audio up or down by smaller increments than just using the volume key alone. Hit Option-Cmd-Power (or Ctrl-Option-Cmd-Eject) and your Mac will go to sleep, gently and effortlessly. 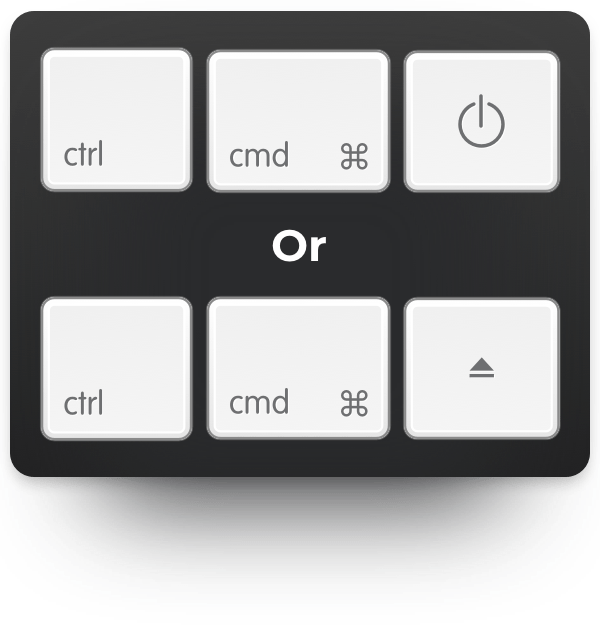 To quit open programs and shut down your Mac without needing to hit a confirmation button, press Ctrl-Option-Cmd-Power (or Ctrl-Option-Cmd-Eject). This will simply shut down your Mac, safely and securely. If you want to restart your Mac, hit Ctrl-Cmd-Power (or Ctrl-Cmd/Eject). This will reboot your Mac. Presented above are introductory shortcuts, just one level above the ones everyone is used to. Once you learn them and use them daily, you’ll notice how your workflow suddenly starts to speed up. Soon enough, it would be time to step up you game with a collection of intermediate time-savers. But more on this later.